Joe and marvelous Ed came for a ride Boxing day and it was great to ride with them both and see Ed come back to the woodwork since snapping his femur and ankle in Chatel earlier this year. Joe doesn’t get to ride Herts as much as when he was younger but I remember teaching him to ride when he was still at school! The 27th was my birthday ride followed by curry and beers and it went down as usual. 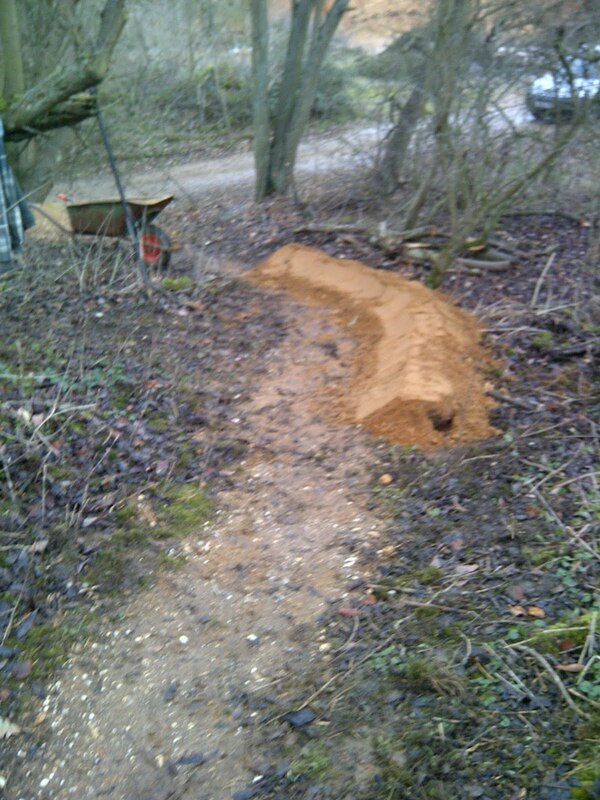 Through out we have been gradually enhancing the new singletrack so it can be ridden by any level of rider and jumped or rolled, it really flows nice already! Lastly, all of the riders I met, rode with and coached I’d like to thank you for making it an awesome year for me personally. New years resolution? ride more,smile more and keep that inner child giggling! Andy turned up as arranged on a beautiful blue sky day and over a coffee we chatted about his aspirations for the session. I began as always, with the skills check and it revealed body positioning and looking skills were missing but also uncovered a great technique that was only bogged down by a missing skill too. I made some set up changes and went to work. We began with the drop technique and applying the skill set, both mental and physical to the technique. I worked hard on body positioning and it was Andy’s first session on flat pedals too but in time he was landing perfectly. After a while we moved onto the skills trail and began working on not only riding the fourteen sections within it but also on linking them together using the correct braking areas. We began with pumping undulations on the trail and used this gained energy to ride the following berm and flat corner. Later we added in a rock garden, berm and switchback and errors made were now being identified by Andy himself as he now knew what he was doing wrong. We moved onto the fly out jump and the corner with a step on the exit and Andy used his skill set to get into the air again and we added the previous sections to it again and Andy began to really flow down the trail. I moved onto the end segment of the trail and worked hard on linking the drop technique and cornering together using line choice and braking areas. After several runs it was time for Andy to ride the entire trail end to end and even though he was tiring, he was riding faster and way smoother than before and his final run was almost perfect in all sections. Andy was tired both physically and mentally so our session ended to a cold beer in the sunshine sitting on the sofas around the herts shore fire. 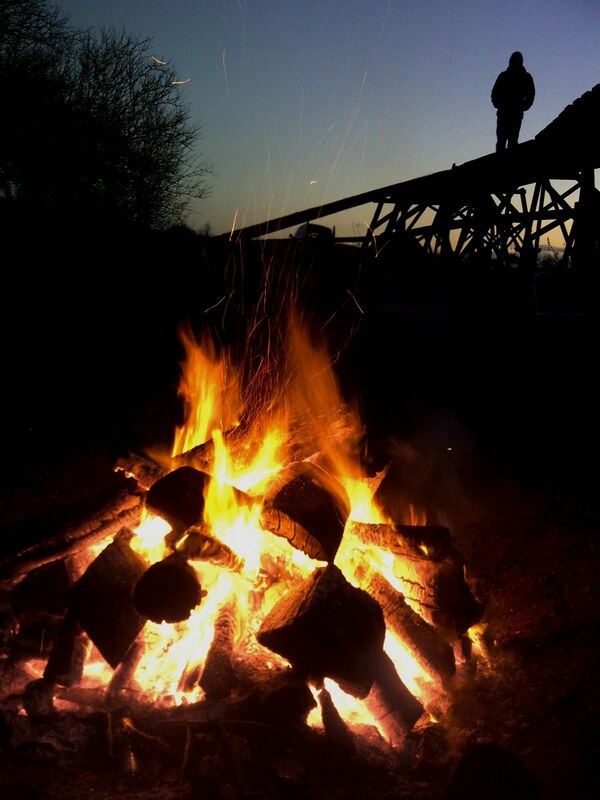 A great end to an awesome session. Mike had been losing confidence in his riding ability and his search for coaching led him to myself. Over a coffee, we chatted about his aspirations for the session and I could already build a picture of what I’d have to do. The skills check revealed the missing skills but also found a great technique that he didn’t even realize he could do as it was bogged down by his missing skills. i made the necessary set up changes and then we went to apply his new skill set to the drop technique. I worked hard on Mikes looking and body position in this technique and also I gave him 4 psychological questions to ask himself whenever he thinks about riding something new. In no time at all Mike was in the air and landing perfectly. After Mike was riding the smallest drop, he decided to ride the larger one using his mental skills questions. We moved to the skills trail and its fourteen sections and began working on linking the sections together using the identified braking areas. I began with pumping undulations on the trail to gain speed from the trail and we used this speed to ride the following bermed and flat corner, Later adding in a rock garden, berm and switchback corner too. Now Mike was riding smoother already as his footwork, looking and body positioning really began to work for him and he could feel the difference. We moved down the trail and worked on applying his skill set to a fly out jump and linked it to a flat corner with a step on the exit and soon Mike was airborne and he immediately said it felt easy. By now Mike was riding 9 sections and It was time to work on linking corners to drop offs and back into a corner. I worked on braking and line choice and even Though Mike was now visibly beginning to tire, he rode the whole trail end to end before declaring himself mentally tired. Our session ended right there and I am really looking forward to Mikes riding updates in the future. James has been on a session with me before and wanted a session for his son Connor. James agreed to attend the session also so they could share the experience and as always I began with the skills check that showed me the areas I needed to work on. It was great to see that James had really worked hard on his skill set and Connor at aged 14 had natural ability. We began with braking technique followed by applying the mental and physical skill sets to the drop technique and they were sailing through the air from the word go. they were riding all three drops and recognizing any errors they made too. After a while, we moved onto the skills trail and worked on cornering and applying the skill set in all 14 sections that are present in the trail. 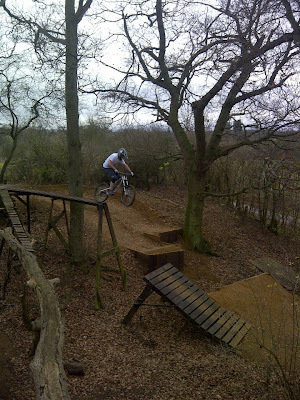 Pumping, flat, bermed, off camber and switchback corners were linked to rock gardens, steps, drops and fly out jumps. I worked all the time on line choice and availability of grip in wet conditions. Before long they were riding the trail end to end. 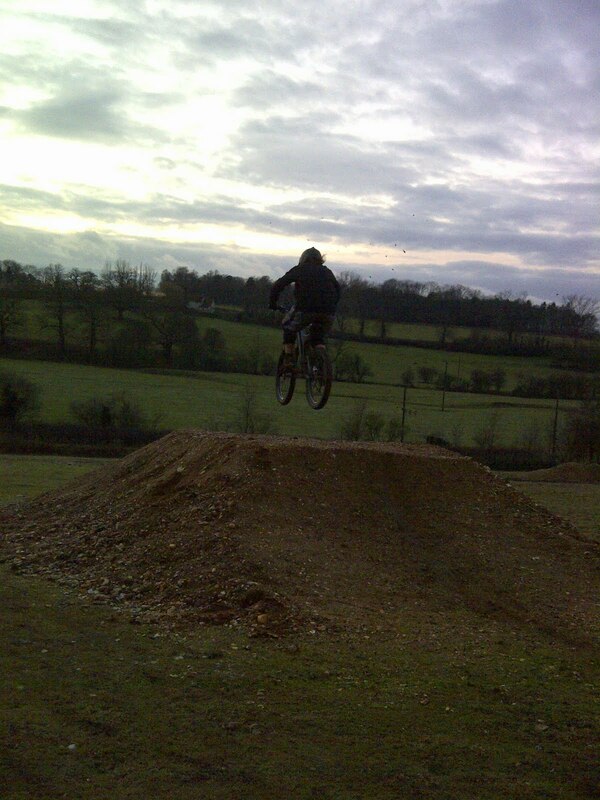 I didn’t dwell too long before moving onto jumping proper using a 6ft tabletop as I didn’t want to mentally tire them too quickly. The slippy conditions were affecting James’s mental skills but Connor was happy sailing into the air. Due to the effect of the conditions, I moved them onto jumping on the pump and jump trail and it was great to see both of them in the air and in control with a smile on their faces. Our session ended as mental and physical tiredness began to show bringing to a close another great session. High5 ! 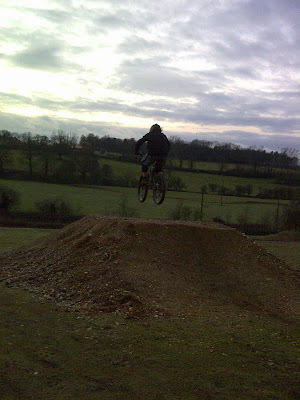 Alan, Rob , Aaron and Gary ride with Cyclone mtb club around woburn and came to me for an all round skills session. The skills check revealed body positioning, looking and footwork faults so after a change of set up I set to work. First, I showed why the skill set, both mental and physical applies to the drop technique and in no time at all the boys were flying into the air and landing perfectly. They commented on the ease of this and that it was counter to advice they have read elsewhere. After a good few runs each we moved onto the skills trail itself and began working on linking the fourteen sections that are contained within it together. We began with pumping and used the energy generated to link the following berm and flat corner. 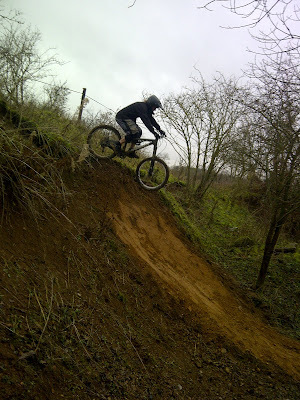 After a while I added a rock garden, berm and switchback corner to the mix and they all began showing me correct footwork, looking and body position in a conscious reaction, this was later to become an unconscious action. I showed why the skill set applied to getting airtime on a fly out and linked that to a corner with a step on the exit. Once again they began to fly and smiles all round was the order of the day. Lastly I worked on linking their drop and corner techniques together and the effect of line choice before it was time for them to ride the entire trail end to end. They began riding the trail one by one and the riding was noticeably smoother and faster too. each run was getting more confident and the wet conditions reinforced their skill set as they gained grip and control. Finally, they began riding the trail together and although there were errors, on each run the errors were corrected where they occurred as they were recognised by the rider themselves! The fading light and mental tiredness brought our session to and end and I can’t wait to hear their riding updates in the future. Awesome session and the first snowy one of the winter. Paul and Chris made the journey from Brighton for their session and I ran them through my skills check first. That showed me the missing skills and also uncovered a true nugget in any riders arsenal that they had no idea they both did. I changed their set ups and began working on their body positioning, footwork and looking. We began with the drop technique and with their new skill set, both physical and mental they began landing perfectly. Eventually they rode all 3 drops with ease and the smiles never left their faces for the rest of the day. I worked on braking technique too so that they could feel more in control in their over all riding. We then moved onto the skills trail and its 14 sections and I began working with them on linking them all together. Pumping was used to gain free speed and then linked into flat, bermed, switchback and off camber corners. Drops, fly out jumps, rock gardens and steps were all joined together as we worked our way methodically down the trail. I worked hard on linking the drop technique and cornering technique and the associated line choice before they began riding the entire trail end to end. Each run was faster and smoother as they began really blossoming with their new simple skills sets. Any errors were identifiable by themselves now as they knew why the error had happened. For our final technique I began working on jumping tabletops and for this I used a 6ft tabletop. Neither of them thought they’d be able to jump it clean but in a few short minutes they were sailing over it with whoops of joy! After a while I could see mental tiredness creep in but Chris still had enough in him to apply his mental skills again and ride the 6ft gap jump side too, bringing the session to a close. Thanks for being part of an amazing day of progression. HIGH5! James was given a voucher for a gift and came to me after reading recommendations online. The skills check revealed some good habits that were bogged down by errors. Bike set up was altered and I began working on his footwork in corners and also looking and body positioning elsewhere too. We began with drops and used the 3 isolated drops to focus on body position and looking and James began lading perfectly and the ease of it all really took him by surprise. We then moved onto the trail and began working on pumping the trails undulations to gain free speed. The trail contains fourteen sections and I worked with James on linking them together using the correct braking and pedaling areas. Flat, bermed, off camber and switchback turns were linked to drops, fly out jumps, rock gardens and steps. As we moved along the trail working on the next sections, we added the previous ones too and when riding them it all began to come together nicely. We worked hard on linking the drop technique to cornering too and the line choice involved. James was using his 4 mental skills questions that I teach to allow HIM to decide if and what to ride as he applied his new skill set. James began riding the entire trail end to end and any errors were recognized by himself now and the speed he was riding was noticeably faster than before and with each run it became smoother too. Our last technique we worked on was jumping tabletops and for this I use a 6ft tabletop and once again James used both the physical and mental skills to get into the air and sail over the jump. After a good few goes the wind changed direction and we ended the session right there as it is dangerous to jump in a side wind. Great session James and I can’t wait for your riding updates!